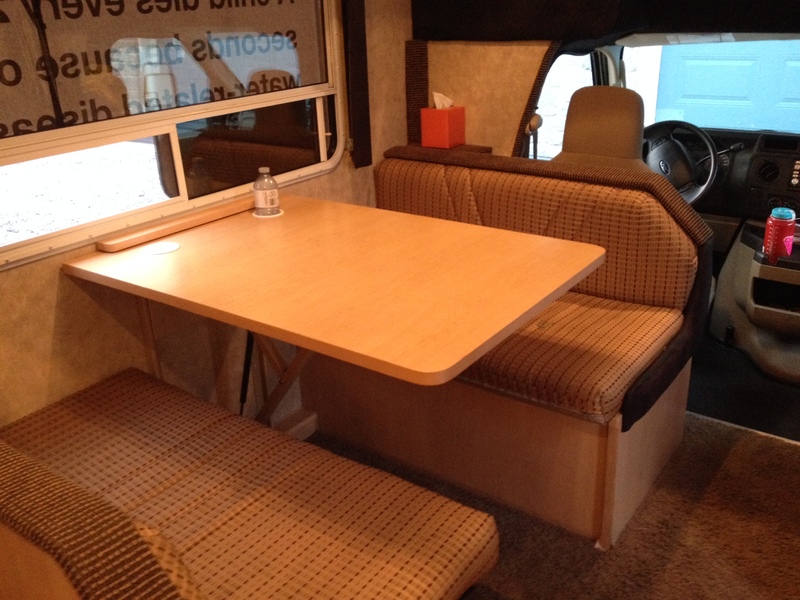 You may wonder what our RV “Home on Wheels” looks like on the inside… Here’s a tour. First we have the cozy “Loft” or “Honeymoon Suite”. This is where Jacquie and Richard curl up. Then we come to the “Bachelor Suite”, where Rob puts his pillow and enjoys sweet dreams. It really does make into a comfortable bed! 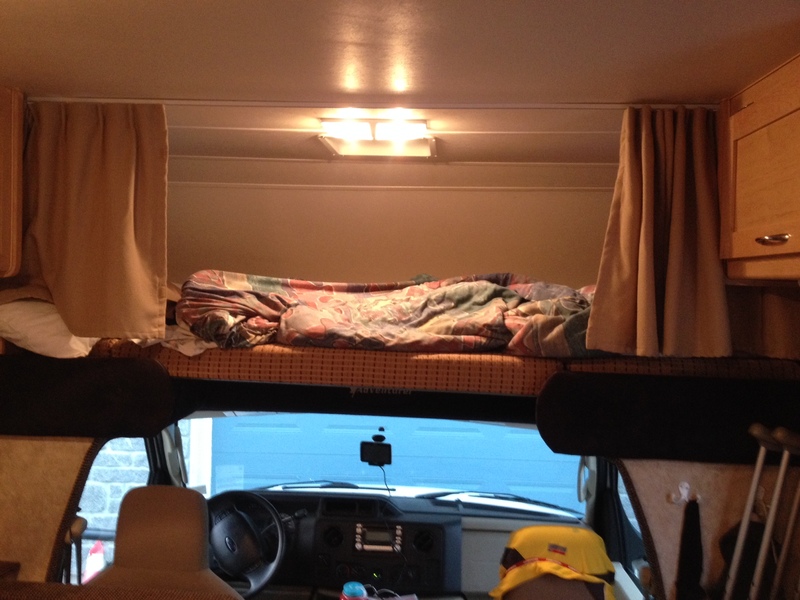 Finally, the “Master Suite” where Mike and Timo spend their sleeping hours. Timo is the neat one. That stuff on the bed is Mike’s. 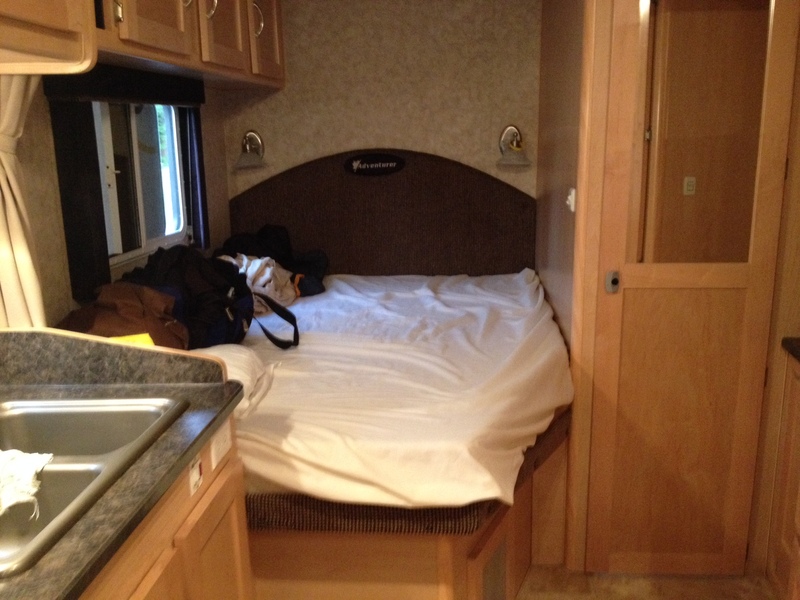 After a long day on the road this RV is a welcome comfort. Several nights some or all of us have been hosted in homes, so it has not always been a full house. Thank you FraserWay RV for the use of this wonderful Home on Wheels!